Welcome to www.safegas.co.uk (the “Website”). We are Safegas Limited, a company registered in England under registered number 03061492 (“Safegas”, “we”, “our” or “us”). Our registered office is at Gemini House, Sandbeck Way, Wetherby, West Yorkshire LS22 7DN. “You” and “your” means you as user of the Website for whatever purpose. To enable us or our Approved Engineers to effectively deliver products and services that you request we may need to collect items of personal information from you. We collect information in two ways: (1) through information you give us; and (2) information we collect from your use of the Website. Other information relevant to quotes, customer surveys, offers and competitions. Vulnerability information – information that allows us to determine if you are in a vulnerable situation, including health and disability information. Payment information – Bank account number and sort code. Account history – records of products and services which you have purchased. Records of your discussions/contact with our customer services team – When you share your thoughts ask questions or make a complaint we may make a record of this. This often includes your contact through, for example, social media networks, webchats and emails. Advertising and Direct marketing preferences – information regarding how you want us to communicate with you, how you reacted and/or interact with any direct marketing or advertising communications directed to you and your business, including any requests for these communications to stop. You are not required to provide Safegas with any of the information listed above, however, if you do not provide such information this may restrict your ability to purchase our products or services or the functionality of our products or services may be reduced. to, where appropriate, send you promotional information about us and/or about third parties that we think you may find interesting. if we are under a duty to disclose or share personal information to comply with any legal obligation or in order to enforce or apply our terms and conditions and other agreements or protect the rights, property, or safety of our customers, or others. This includes exchanging information with other companies, governmental departments and organisations for fraud protection and credit risk reduction. We will not share your details with any organisation or persons without your prior permission except as set out in the conditions above or as you have consented to (via either opt in or opt out). The amendment to your personal information is freely available although we may require proof of your identity. On receipt of such proof we will provide you with a readable copy of the personal information that we hold within 30 days. We reserve the right to refuse to provide copies of personal information but will give reasons for our refusal. If you wish your information to be removed from our systems or believe that any personal information we hold on you is incorrect or incomplete, please email or write to our Data Protection Officer at the above address. We will promptly correct any information found to be incorrect. Directly from you: When you purchase a product or service from us, submit information via our website or complete any Safegas related documents, enter our competitions and promotions, make a compliant, exercise your stator rights, contacts us via phone, email or communicate with us in any other way. Our Heating engineers: May provide information about your boiler, central heating system and other appliances. Government and regulators: Information about the complaints they receive. 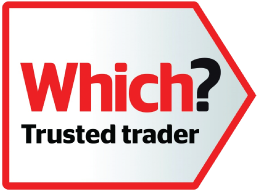 Hitachi Capital – If you decide to use our finance options. Appliance manufacturers – for example, we will share some of your information with the manufacturer of your new boiler so that your boiler can be registered. From time to time, we may contact you via email, SMS, post or telephone about products and services we believe may be of interest to you. We aim to respect your marketing preferences at all times and we hope that our marketing only enhances the relationship Safegas has with you. However, if you find that you no longer want to receive marketing messages from us then email accounts@safegas.co.uk, call 01937 588181 or write to us Data Protection Officer, Safegas Limited, Gemini House, Sandbeck Way, Wetherby, LS22 7DN.